Create an account with Govmint.com today. Registered users recieve faster checkout, enhanced order tracking options and special promotions. This item is currently Out of Stock. Please sign up to be notified if this product becomes available. A Monumental Event 50 Years in the Making -- the FIRST EVER Silver Krugerrand! The name "Krugerrand" has been synonymous with wealth, prosperity and riches for 50 years. First issued in 1967, the South African Gold Krugerrand holds the title of being the world's first modern gold bullion coin. Today, it's still the most widely traded gold coin on the planet! Every other gold coin that has followed, including American Gold Eagles and Canadian Gold Maple Leafs, owes their very existence to South Africa's "Grandfather of Gold." 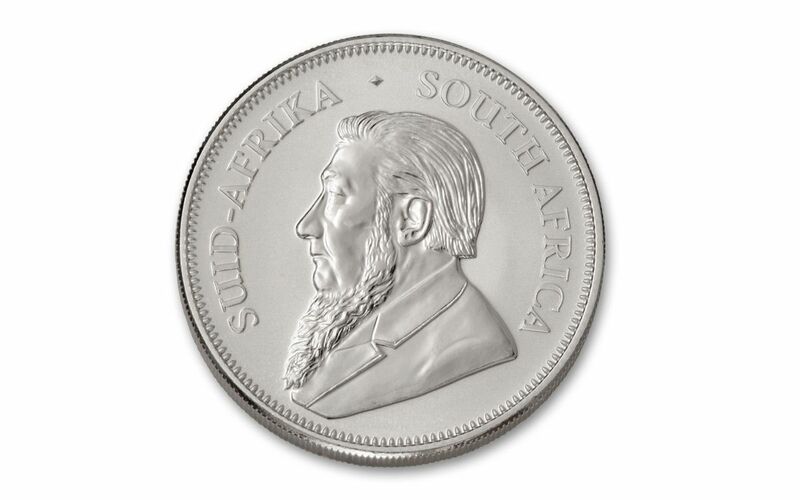 However, while other countries have produced silver versions of their bullion coins, collectors have only dreamed of owning official Krugerrand coins in pure silver. Fortunately, the wait ends today! 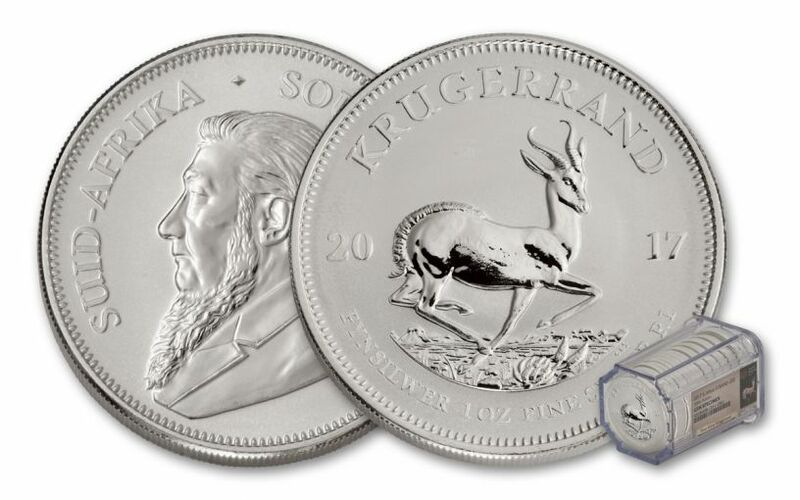 To mark the 50th anniversary of the Gold Krugerrand, South Africa has authorized the FIRST EVER production of limited edition one ounce Silver Krugerrands. 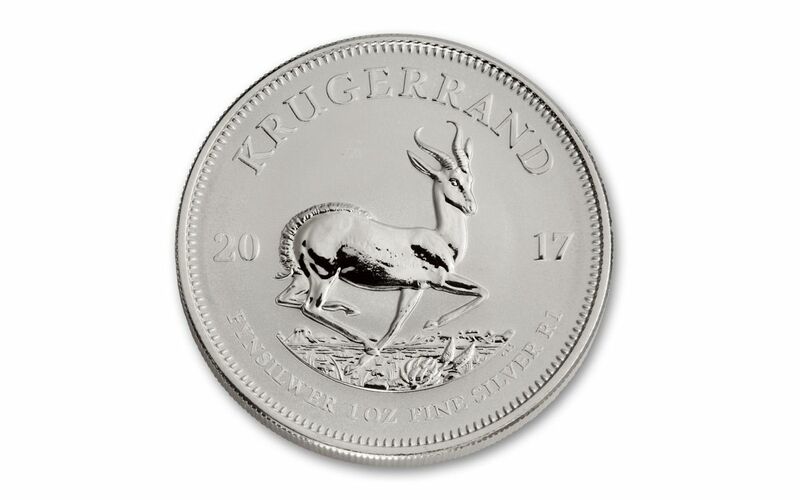 Produced by the award-winning South African Mint, each Silver Krugerrand is official legal tender, struck in a full ounce of 99.9% pure silver. This Krugerrand bears the same design as the original gold coin -- former South African President Paul Kruger on one side and the iconic Springbok antelope on the other. In addition, each one ounce silver coin features the milestone Krugerrand 50th anniversary 2017 date and mint mark. The dies for these 2017 Silver Krugerrands have been digitally enhanced through innovative laser-etching technology, producing coins with razor-sharp details, polished gleaming highlights and satiny frosted shading never before seen on a Krugerrand. Each coin will be inspected, certified and graded Gem Uncirculated by Numismatic Guaranty Corporation (NGC), one of the world's leading independent grading services. A Gem Uncirculated certification means that your 2017 Silver Krugerrands are the products of a superb strike that, at most, have only moderate marks or hairlines. It's an objective classification that places your coins firmly among the elite of the run! In addition, your 2017 Silver Krugerrands will be sonically sealed in an acrylic 20-coin tube -- giving you the best in protection while granting clear sightlines into every beautiful detail. Finally, all of the unique characteristics of your roll will be described in detail on the acrylic tube’s label, which also features a special Krugerrand design. GovMint.com is the EXCLUSIVE North American distributor for this first-ever 2017 Silver Krugerrand. However, while the Krugerrand has never been struck in silver before, once the 50th anniversary is over, it may never happen again! Order now, or miss out on what could be your first and perhaps ONLY opportunity to add twenty to your collection at once! GovMint.com® is a retail distributor of coin and currency issues and is not affiliated with the U.S. government. The collectible coin market is unregulated, highly speculative and involves risk. GovMint.com reserves the right to decline to consummate any sale, within its discretion, including due to pricing errors. Prices, facts, figures, and populations deemed accurate as of the date of publication but may change significantly over time.